When you are T-boned in an intersection by a driver who runs a red light or injured by other careless or inattentive conduct by an individual, corporation or government entity, the physical pain, emotional distress, and financial hardships can threaten your recovery. Your priority will be achieving the fullest physical and emotional rehabilitation so financial difficulties, insurance company hassles, and personal injury litigation might receive little consideration. However, the financial challenges faced by serious injury victims and their families can impede a victim’s recovery and threaten the ability of a family to pay their bills and maintain their standard of living. My name is Ed Smith. I am a Loomis personal injury attorney, and I am committed to providing exemplary legal representation and seeking the fullest monetary recovery for victims of the negligent and intentional conduct of other parties. My experience and reputation as an advocate for the rights of injury victims are built on more than 30 years of representing clients in Northern California from my Sacramento law office. I care about our local community because I have been a part of the community for so many years. If you’re from Loomis, then you know the many benefits of living in our small town come with potential risks of injury. While the Harvest Festival and walks in the downtown area on Taylor Road with its quaint shops offer fun and amusement, these activities can be derailed by a motor vehicle collision, pedestrian accident, or fall due to objects that block aisles. Loomis offers unique recreational activities as a great horse town. Folsom Lake is right around the corner, but equestrian accidents, drunken boaters, personal watercraft collisions, and drowning events can turn a day of enjoyment into an incident that causes catastrophic injury and/or wrongful death. If you’re visiting our law firm website, then you might have been involved in an auto collision or other types of accident that caused injuries or the loss of a loved one. If that’s the case, then you have probably already discovered that an experienced Loomis auto accident attorney can help you take on negligent parties and the large national insurance companies that represent their interests. However, that the process of finding a reliable and trustworthy Loomis car accident lawyer can be an intimidating task, and many people don't know any lawyers they trust and lack experience evaluating an attorney to select the right one for his or her needs. Vehicle Accidents, including motorcycle and tractor-trailer accidents. While representing catastrophic injury and wrongful death victims in Northern California for over three decades, I have worked hard to make sure I have a close and personal relationship with my clients and their families. You also need to know that I’m a straightforward person so you will get true facts about your situation whether it is good or bad. After my evaluation of the facts of your case, I will let you know about any potential weaknesses or potential problematic issues. If you have a good case that provides an excellent chance of prevailing in court, I also will communicate this information. Selection of the right Loomis personal injury lawyer for your specific situation can have a significant impact on the outcome of the case. Even if an attorney is knowledgeable and experienced, the attorney might not have handled personal injury claims involving similar facts or resulting in catastrophic injury or wrongful death. Some lawyers keep an arm's length relationship with their clients and work hard to keep things strictly professional. This approach might work in certain cases or for some individuals, but it’s not the kind of working relationship I try to foster with my clients. I find it is more effective to advocate for clients in front of a judge or a jury and to explain the impact of their injuries if I have developed a personal connection. In many personal injury cases, I frequently visit with my clients at their residence and spend lots of time with them and their families. To discuss whether I would be the best fit for your case, you should contact me. You may also watch the YouTube video below on how to choose a good personal injury attorney, regardless of whether you prefer my law firm or another attorney. I believe in ensuring that my clients feel empowered when I represent them because I explain their options in straightforward language so my clients can participate effectively in their own legal claim. I will work with you to provide the knowledge you need to be able to make the best decisions given your circumstances, such as whether to accept or decline a settlement offer. I will advise you if I think the other side is making a lowball offer or if I believe the settlement offer is a reasonable one. I’ll make sure you know the risks of moving ahead, as well as the potential rewards and benefits of a particular course of action. My primary job as your attorney, if you decide to retain my law firm, is to help you successfully navigate the confusing legal system and the complicated legal standards and procedures that may affect your case. However, it is ultimately your case, so you should be empowered to make decisions. My legal team and I promise to keep you informed at every juncture of your case from the moment you retain us to the time your case is resolved. We will discuss possible case strategies and develop a plan to pursue the best outcome possible for both you and your family. I have been serving clients as a California trial attorney since 1982. I graduated with an undergraduate degree from the University of California-Davis. I earned my law degree from McGeorge School of Law. I also am a veteran, and I was attached to the Airborne Unit in Vietnam from 1969-1970. I have also been on the television program “Ask a Lawyer,” which has aired on local cable television for more than ten years. I love what I do, so I try to make a difference by helping individuals make their voice heard against large insurance companies. I offer numerous books on Amazon.com, such as The California Motorcycle Accident Handbook and The Ultimate California Auto Accident Handbook. In my free time, I enjoy activities such as travel, snorkeling, finance, reading, art, architecture, and music. I’m Ed Smith, a Loomis car accident and personal injury lawyer. If you or a member of your family suffered severe injuries in a vehicle accident in Loomis, do not hesitate to call me for free, friendly legal advice. You can reach me by at 916.921.6400 or 800.404.5400. You may also visit our website, www.AutoAccident.com. Our site is known as one of the most comprehensive personal injury websites in California. If you visit our firm’s site, you may also learn more about my staff and me. You can see a sampling of the verdicts and settlements that my firm has achieved for our clients. Read a few testimonials from past clients. Find excellent client reviews on Avvo, Yelp, and Google. Our firm is a member of the Million Dollar Advocates Forum. This organization is intended for lawyers who have obtained several million-dollar jury verdicts. Loomis Injury FAQ'sQ: How can I get my copy of the law enforcement accident report in Loomis? A: To pursue a car accident claim, you will need to obtain a copy of the police report after an accident in Loomis. The Placer County Public and Records Unit provides accident reports for Loomis car accidents for all parties, insurance companies, attorneys, and other law enforcement agencies. Most of the unit’s services require an appointment, so you should call them first at (530) 889-7812. Their hours are Monday through Friday from 8:00 a.m. through 5:00 p.m.
Q: I have had chronic muscle pain after the accident. Could you also recommend a chiropractor in Loomis? A: Yes. The chiropractor below has received fantastic YELP reviews. Kevin M. Fleming, BS, D.C.
Q: Do you have any suggestions for a reliable mechanic to make repairs to my automobile in Loomis? Q: I need a rental car while my vehicle is under repair. Any suggestions in Loomis? Q: Where are some of the unsafe intersections in Loomis? If you’ve been involved in a car crash in Loomis or anywhere throughout the surrounding areas, you should talk to a lawyer before speaking with any insurance companies to ensure that you properly protect your interests. Failure to obtain legal advice might undermine your prospects for recovering the maximum compensation for your injuries. Q: Can I hold the City of Loomis responsible for my injuries? A: If the Township of Loomis has not fulfilled its duty of maintaining streets or traffic lights, then they may be held liable in court for accidents caused by their negligence. Specifically, the city is required to enforce and adhere to particular requirements regarding roads and traffic signals. 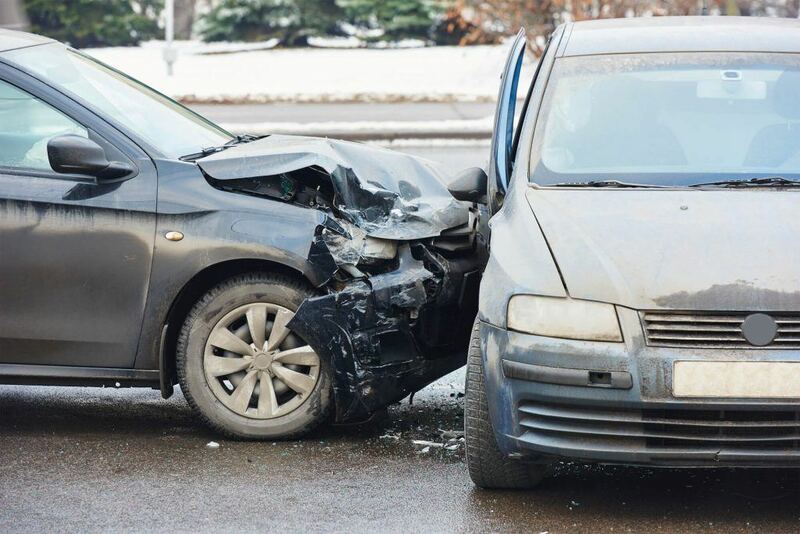 An experienced auto accident and personal injury lawyer in Loomis will retain an expert, like a traffic engineer to determine if the Township of Loomis fulfilled its legal duties to provide and maintain reasonably safe roads.